Beginning at the start of June, players will be able to get themselves a shiny Zygarde from participating stores like GameStop and GAME. The event will be taking place for players of Pokémon Sun, Pokémon Moon, Pokémon Ultra Sun and Pokémon Ultra Moon. Zygarde has three forms, its 10% Form, 50 Form, and its complete form. According to the press release, and PokémonLegendary.com, this legendary event is going from June 1st through June 24th. It should be noted that your Zygarde will vary depending on which game you get it in. If you get it in Pokémon Sun or Pokémon Moon, it will be level 60 with the moves Land’s Wrath, Glare, Safeguard, and Dragon Breath. On the other hand, if you get your shiny Zygarde in Pokémon Ultra Sun or Pokémon Ultra Moon, then it will be level 100, and will have the held item Gold Bottle Cap. Its move set includes the moves Thousand Arrows, Outrage, Extreme Speed, and Dragon Dance. 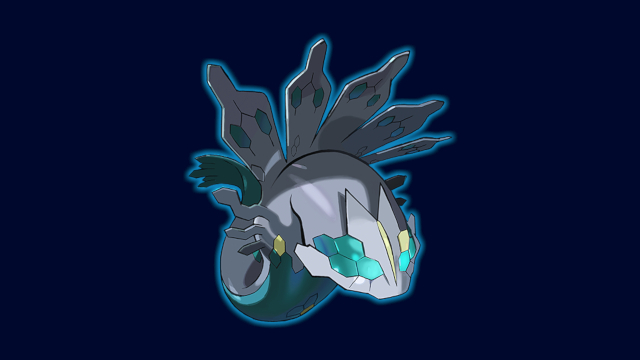 What doesn’t vary depending on which game you get this Pokémon in, is the fact that Zygarde’s ability will be Aura Break. I was never much of a fan of these events to be honest. At this point, they are also one of the dated aspects of the Pokémon franchise, as is the practice of always releasing duel versions. The online functionality of the games makes that a little pointless. Of course, the real reason behind these events is obviously just to get players to the store so they’ll hopefully buy something while they’re there, which is a bit manipulative. A lot of player’s don’t even go to GameStop anymore, and many around the world don’t have a GameStop, GAME, or similar participating store that is reasonably close to them. 1. Open your Pokémon Sun, Pokémon Moon, Pokémon Ultra Sun, or Pokémon Ultra Moongame. 6. Watch as Shiny Zygarde arrives in your game! 7. Speak to the delivery person in any Pokémon Center to receive your Shiny Zygarde. 8. Be sure to save your game!